One by one they signed the groundbreaking agreement — 175 world leaders, joined by a delegation of children from around the world, pledging their resolve to protect the future of the planet. The April 22 signing ceremony for the 21st Conference of the Parties (COP21) in France is still just a beginning. For it to be a turning point in the fight against climate change, each country must put forth its best efforts and take action. Already there are encouraging signs. 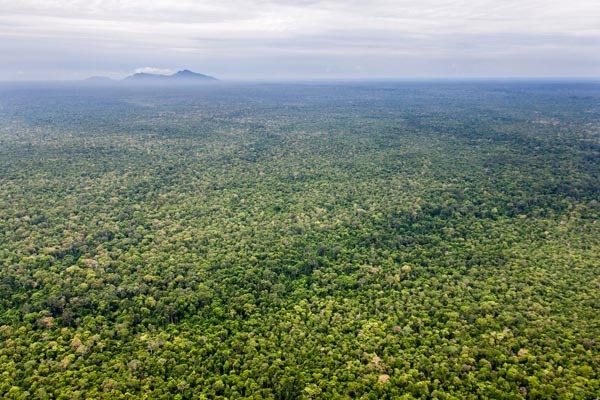 Just a few weeks before the signing ceremony in New York, the Royal Government of Cambodia, through the nation’s Ministry of Environment, proposed establishing nearly one million hectares of designated protected forests. Included in this proposal is the magnificent and vital Prey Lang Landscape with an estimated size of 310,000 hectares. USAID’s Supporting Forests and Biodiversity Project, implemented by Winrock International since 2012, has vigorously promoted the conversion of Prey Lang to “protected” status. As a protected forest, Prey Lang will receive essential safeguards to protect against the intense deforestation, illegal encroachment and poaching that threaten to destroy the landscape for current and future generations. This decision is a victory for the Cambodian people and the entire world. We are encouraged that the momentum to address climate change will not end with the triumph in Cambodia or the ceremony at the United Nations. And we pledge that Winrock will continue to stand at the forefront of the fight.